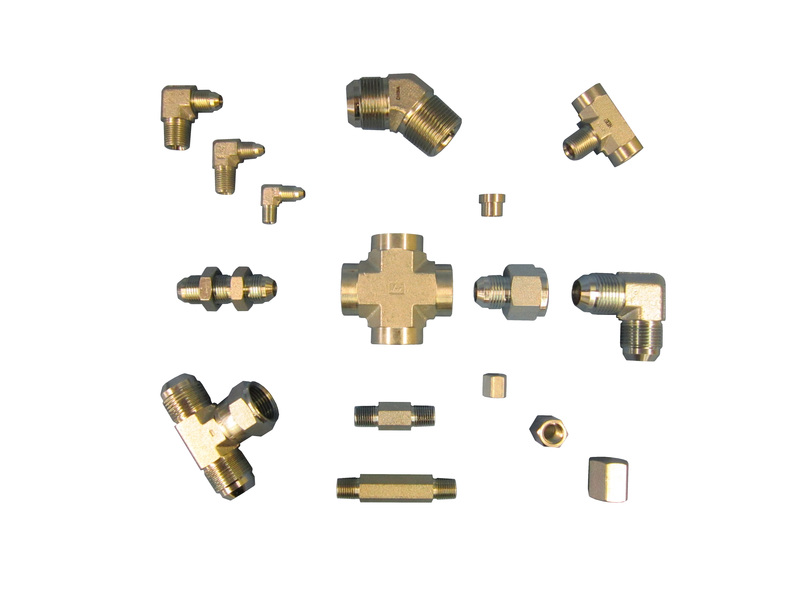 Hose and Rubber Supply carries a broad range of adapters to help connect some of the most unique configurations. Of course we carry broad and deep inventory levels for SAE, JIC, pipe thread, flat face or flush face o-ring fittings, and o-ring boss. Most all configurations are stocked in jump-sizes to help with the most exacting requirements. Hose and Rubber also carries metric, British, DIN, Japanese Industrial Standard (JIS), Komatsu, Code 61, Code 62, Cat Flange and much more.